Choose your passive down below. 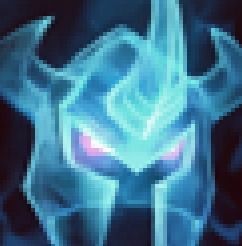 Each champion gives you a different passive bonus for the rest of the game. Choose carefully, as you can choose a passive only once every season! Your gold per second is increased by 10%. 15% of your AD is added to your AP, 15% of your AP is added to your AD. Hire champions to hit Teemos for you. Champions unlock personal "upgrades" at higher levels. 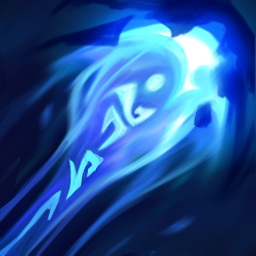 Ryze unleashes a runic blast, dealing magic damage to Teemo. On cast, Overload reduces the cooldown of your other spells by 1s. Power: (2 + (150% AP) + (0.2% AP per GpS)) (before resistances). Riven slashes Teemo three times with her sword. Dealing physical damage. The third strike deals % damage (200% + 5% per Riven level). Power (first strike): (15 + (200% AD) + (0.3% AP per GpS)) (before resistances). Mordekaiser curses Teemo, dealing magic damage. Half the damage is done initially, the other half over the next 10 seconds. During the curse, you gain bonus AP (100 + 20% AP). Power (total): (4000 + (300% AP) + (0.8% AP per GpS)) (before resistances). Lee Sin, the Blind Monk (AD). Kassadin, the Void Walker (AP). Zed, the Master of Shadows (AD). Zed marks Teemo for death. For the next 3 seconds, the mark stores a percentage of all damage dealt to Teemo from all sources. At the end of the duration, the mark detonates dealing physical damage. Power : (3 million + (1% AD per GpS)) + % (80% + 10% per Zed level) of the damage dealt during its duration (before resistances). Heimerdinger, the Revered Inventor (AP). Draven, the Glorious Executioner (AD). Akali, the Fist of Shadow (Hybrid). Aurelion Sol, the Star Forger (AP). Buy items to empower your hits and your champions. You can have at most 6 items. -You can sell items for 50% of their value. -Use item actives by clicking on the inventory in the click page. +1 flat cursor hit power. +10 flat armor penetration (UNIQUE). +15 flat magic penetration (UNIQUE). You can now see Teemo's current resistances. 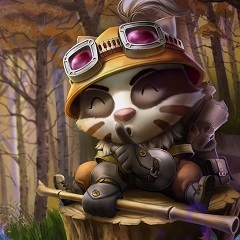 Your next Teemo hit will be worth an additional 30 seconds of your GpS. (10 minutes base cooldown). Your cursor's power is doubled for 10 seconds (5 minutes base cooldown). Your AP-generated GpS is increased by 50% for one minute (7 minutes base cooldown). Technically, these items are not in the game anymore, so they won't take up place in your inventory. 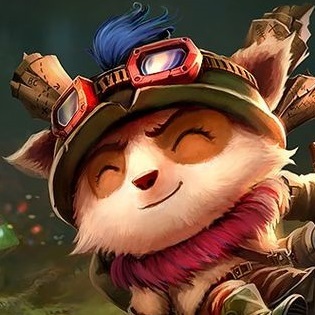 A cuter Teemo obviously implies that you gain more gold when hitting him! Slay lots of Teemos to unlock skins. -"They just painted his face!" -"It's a Valor... It's a Corki..."
-"Survive here a week, then you get a name." "Now recall and buy boots." "Just in time for the new Ryze rework!" "Maybe wait a little before trying her out in ranked..."
"Learn from your mistakes... You probably learn a lot"
"You are ready to start 'outplaying' ADCs real good!" "People fear what they cannot understand... Like how much skill Syndra's R takes!" "My profession?! You know, now that I think of it, I've always wanted to be a baker." "Or should it say level 100 bug-catcher?" "Force is meaningless without skill." "Have you mastered your Insec-kick yet?" "Emb. Emb. Emb. Embrace the shadow..."
"Look at the cleanse! Look at the moves!" "Ready to start wrecking bottom lane!" "Yes, you are supposed to catch those"
"You are so ALPHA now"
"No one tells me what to do. Not anymore." Teemo Slayer isn't endorsed by Riot Games and doesn't reflect the views or opinions of Riot Games or anyone officially involved in producing or managing League of Legends. League of Legends and Riot Games are trademarks or registered trademarks of Riot Games, Inc. League of Legends © Riot Games, Inc. Check out the subreddit to discuss the game and propose changes! Teemo Slayer is a work in progress project, your ideas will be considered for future updates! New mechanic: champion spells! This is pretty much an open alpha. Feedback on spells is very welcome! 4 champion spells added, more to come in the future! Reworked URF passive to grant 80% cooldown reduction (fixed). Fixed a bug that caused attack speed-triggered clicks to hit for less than normal mouse clicks. 28/08/2018 - Game is back online!